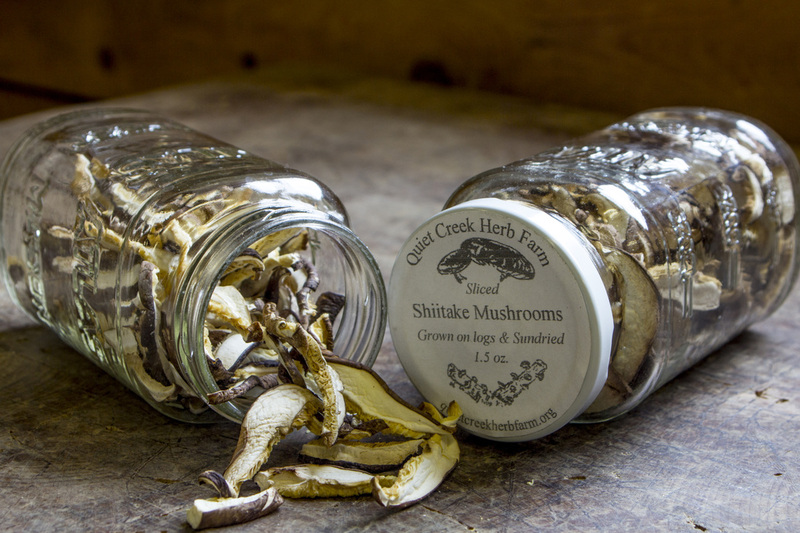 Sun-dried Pennsylvania Shiitake Mushrooms are grown at Quiet Creek Herb Farm in our mushroom forest. 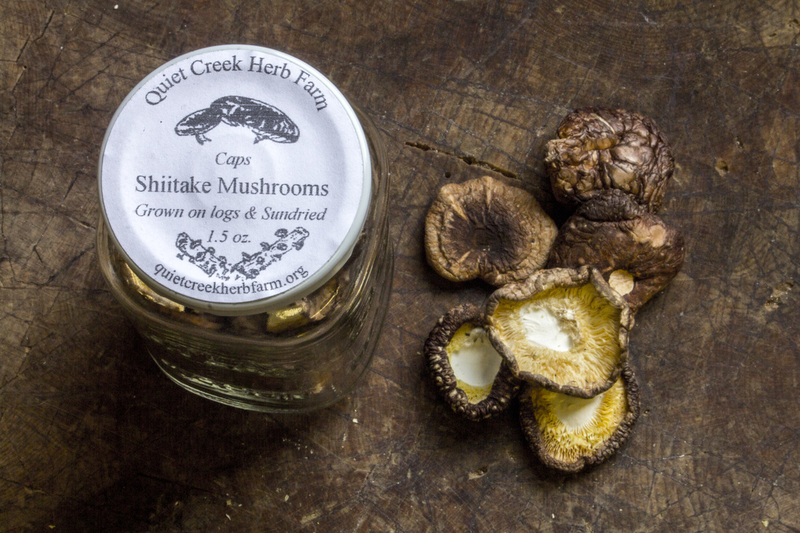 Shiitakes are popular in Asia and are growing in popularity here in the USA. The sun drying process intensifies the flavor and increases the Vitamin D content. They are high in fiber and protein and low in fat, making them a great addition to a wholesome diet. They are great added to your favorite soups, casseroles, stir-fries and pizzas. 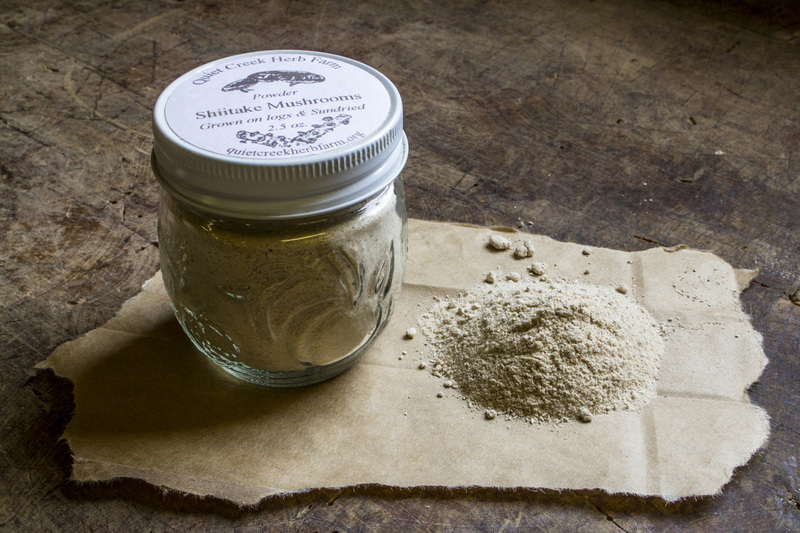 The powder is a nice addition to gravies, soups and smoothies. Simply soak the mushroom slices or caps for 15 minutes in a liquid of you choice (water, wine, milk, or olive oil) before cooking. Make sure to incorporate the liquid that was used to soak the mushrooms into your favorite recipes. Jars of caps, slices or powder for sale, $8.00 each.